A growing number of deaths and injuries from carbon monoxide poisonings linked to keyless ignition vehicles has prompted Sen. Bob Casey to push the Department of Transportation to take prompt action to prevent more fatalities. In December 2011, the National Highway Traffic Safety Administration declared a “clear safety problem” from keyless vehicles, and proposed requiring loud alarms to sound if drivers accidentally leave their car running after exiting the vehicle with their fob. The agency determined the costs to the industry would be “minimal” to implement the fix, but has not yet forced automakers to take action. Current federal regulations require cars with a traditional key to shut down if the key is removed from the ignition. No such rule protects drivers of keyless ignition cars, which can continue running even after a driver walks away with the electronic key fob needed to start the engine. NHTSA has pushed back issuing a final rule for automakers until February 2016, but in an email to Scripps, the regulator acknowledged that whatever safety measures it takes will likely only affect newly manufactured vehicles, not the millions of keyless vehicles currently on American roads today. “I’ve gone through the rule-making documents we’ve made public and I don’t see any mention of retroactive provisions,” wrote Gordon Trowbridge, director of communications for NHTSA, in an email to Scripps. The admission by the federal regulator puts an increasing focus on class-action lawsuits that are making their way through the courts. New York attorney Martis Alex and her law firm Labaton Sucharow have sued 10 automakers on behalf of consumers who purchased keyless ignition vehicles that are not equipped with an automatic shut-off feature. The suits allege that the auto manufacturers knew or should have known there was a predictable danger from making keyless ignition equipped cars that failed to have an auto shut-off feature installed, something the complaint maintains would be a simple software fix and not require more costly hardware installed. The legal actions are attempting to fill a gap that federal regulators do not appear to be preparing to address. Boynton Beach, Fla., resident Mona Sternbach accidentally left her keyless ignition car running in her enclosed garage this past Labor Day weekend, allowing carbon monoxide fumes to move throughout her home before they eventually killed her, according to the Palm Beach County Sheriff’s Office. Only two weeks prior to her death, a Scripps News investigation had revealed at least 13 other fatal carbon monoxide poisonings from similar incidents dating back to 2009. The number of known deaths linked to carbon monoxide poisonings from keyless vehicles has now grown to at least 18, according to confirmations from police officials and new incident reports reviewed by Scripps. Sternbach’s death is one of six from this year alone, signaling an escalation in the frequency of fatal incidents compared to previous years. Near misses also continue to pile up, including one this fall where a family of six went to a hospital outside Seattle after a father unintentionally left his keyless car running in the garage while going inside to tend to a sick child. "We can't just sit here and wait for more people to die,” said safety advocate Janette Fennell, president and founder of the national auto safety advocacy group Kids And Cars. Fennell has compiled a list of deaths, near misses and injuries from keyless ignition equipped cars nationwise. She says the danger to consumers is real. "It’s an important enough issue that maybe a recall should be put into place," she said. Gerald Zitser’s family believes the more recent carbon monoxide poisonings could have been prevented, but say federal regulators largely ignored their own push for reform when Zitser was killed back in 2012. Zitser, an 84-year-old, was still in such good health he rode his bike every day. His daughter Suzi says he mistakenly left his keyless ignition car running after returning home from the grocery store. 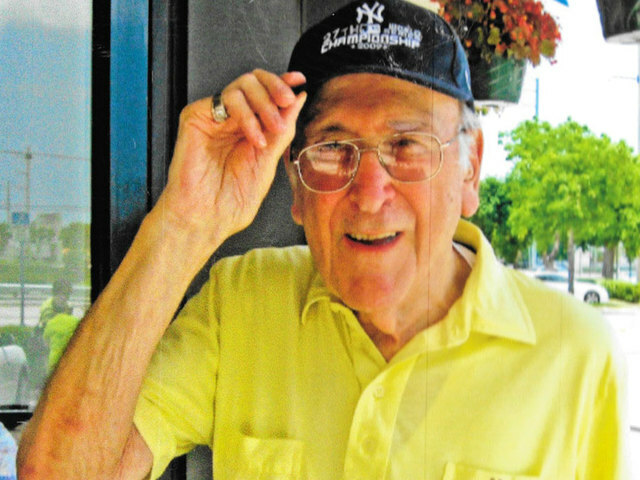 Zitser was a lifelong Yankees fan who regularly spoke to his daughter on the phone while watching the games on television. Suzi Zitser sensed something bad had happened when she didn’t receive a call. Her father was found dead the following evening from carbon monoxide poisoning, according to an autopsy report. He was still sitting in his recliner holding the remote control while his television was on. His daughter, who is also an attorney, wrote the federal government in 2012 urging reforms but says she was brushed aside. Zitser says she received a generic note from NHTSA saying the regulator had received notice of her father’s death and would look into the case. She says the agency did not ever get back to her. The Zitsers were unaware that more deaths had occurred until the Scripps report this August. “We were of course shocked to learn of the extent of this problem and the relative low cost in reducing the chances of injury and death from equipping cars with a mechanism to alert users,” Zitser said, speaking on behalf of her family. Many automakers have argued against NHTSA’s warning-alarm proposal. Nissan, for example, said in a 2012 public comment, “We believe the 85 (decibel) alerts proposed by NHTSA are too loud and may interfere with the driver responding to the alert in an orderly manner.” Other automakers have issued similar public comments. Still, Senator Casey says whatever safety measures NHTSA does implement should apply to both newly manufactured cars and those on the roads already. Casey says he may push for Congress to step in if that does not happen. If you have a story about keyless ignition to share, email mark.greenblatt@scripps.com .